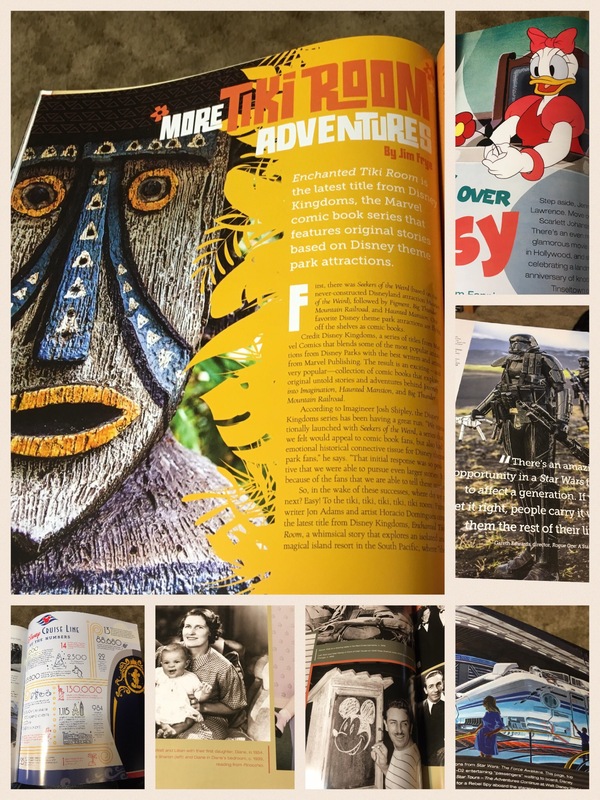 As a Gold member of Disney’s D23 Fan Club, I receive the quarterly publication, D23 Magazine. The recent edition just arrived and I decided it is time to share with my blog readers, who may not be aware that this magazine exists or what kind of content is available within it, my thoughts about this issue and what I found within it. 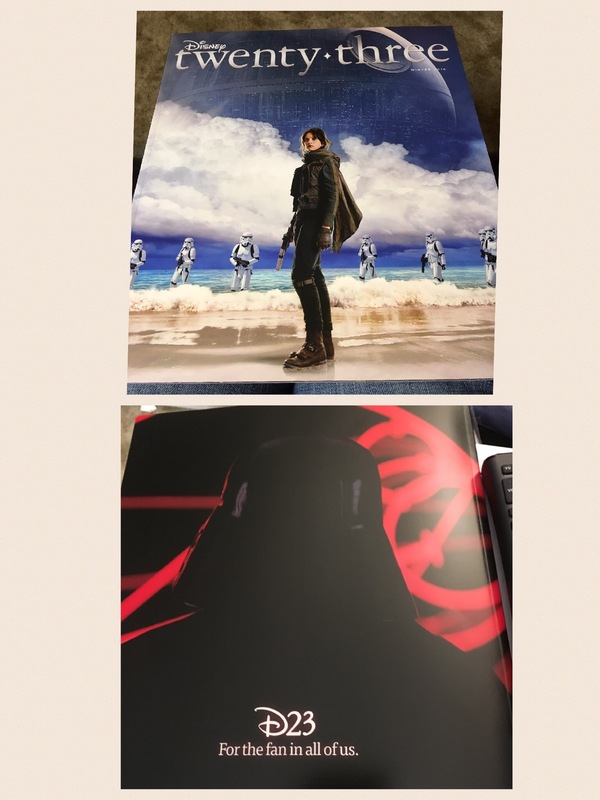 As you can see both covers are Star Wars themed and feature characters from the movie Rogue One: A Star Wars Story. On the front cover it shows the Main character of Rogue One, Jyn Erso, played by Felicity Jones, with Imperial Storm Troopers coming out of the water. The back cover shows the one of the geatest villians of all time, Darth Vader, as he is looking away from the viewer. As a Star Wars fan and a fangirl anticipating this new film in the franchise, these two covers just increased by desire to read this issue. 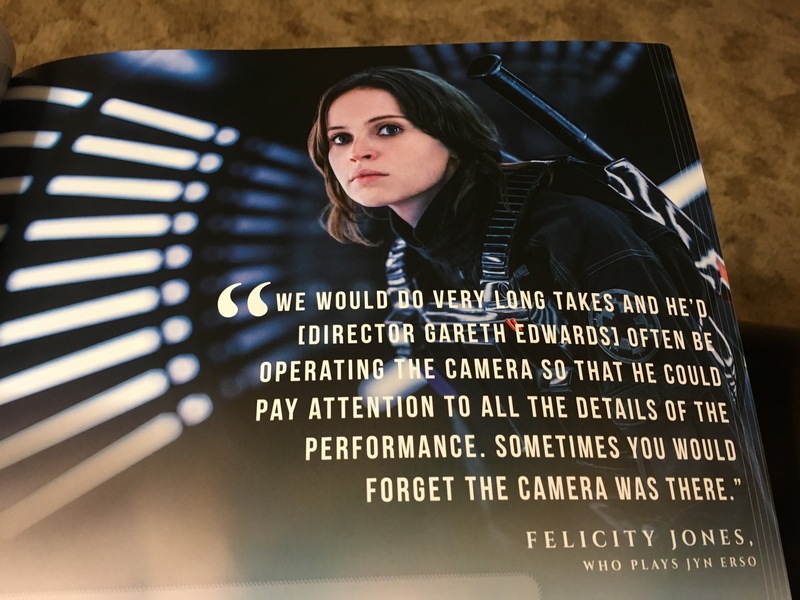 Of course, this issue inclues two articles related to Rogue One: A Star Wars Story…The first is an article that gives readers “…a glimpse into the making of the film, which is centered on a group of rebels determined to steal the plans for the menacing Death Star.”* The article includes conversations with Felicity Jones, Kathleen Kennedy, President of Lucasfilm, and Director Gareth Edwards. *decription from Winter 2016 issue web page. 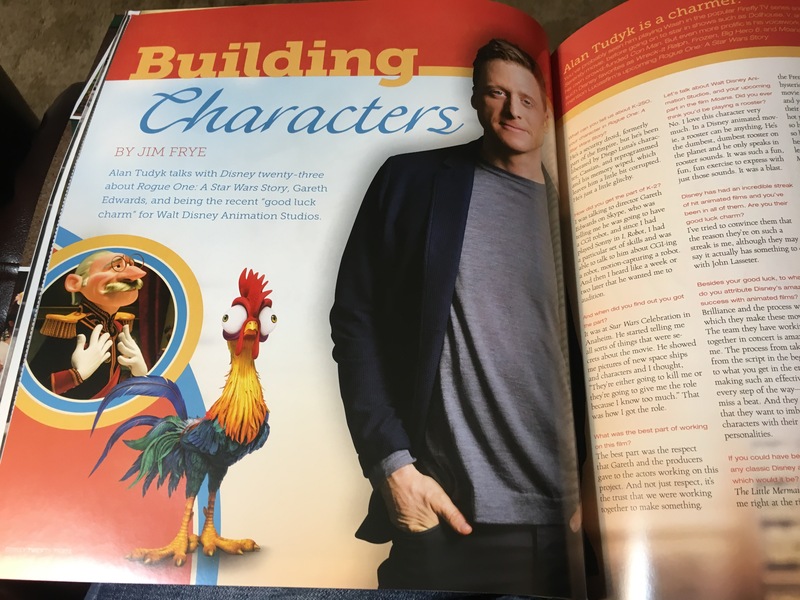 The second article related to Rogue One is an interview with Actor Alan Tudak, who plays and voices K-2S0 in Rogue One. The article touches on his work in Rogue One and many of the other work he has done for Disney Animation Studios. An article focusing on the character of Daisy Duck. An article on the life and work of Walt Disney through photos of Walt Disney and his family. An article about the Disney Wonder and a page that contains Disney Cruise facts (The data analyst in me loves these!). Overall, some very interesting articles to read in this issue. If you are not a member, like I am, you may want to become one just to receive this quarterly publication full of Disney goodness. So are you a D23 member? If not, would you become a member just to get access to this issue? Did you like the Winter 2016 issue?